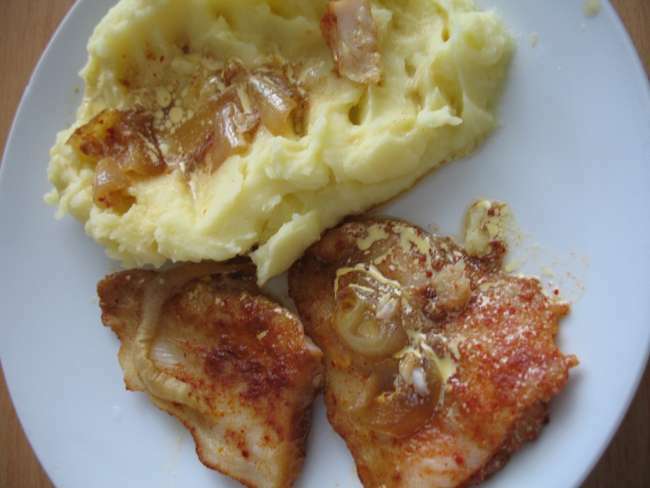 Pangasius on Butter and Onion. 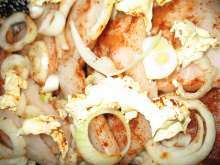 Pangasius or other fish on butter and onion. 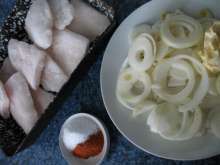 Defreeze the pangasius, wash, according to need cut into a smaller fillets and place into the baking dish. Salt, sprinkle with ground red paprika and trimmed onion chopped into the rings. Place slices of butter over the fish. Bake in preheated oven at medium heat for 30 minutes.